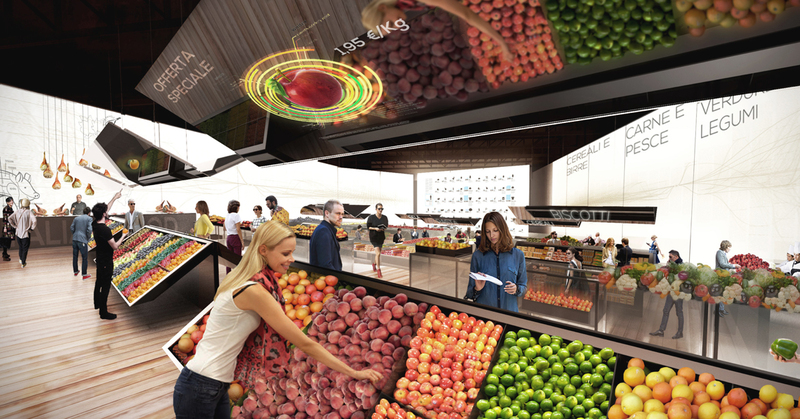 The Future Food District (FFD) is an innovative project conceived and designed by Carlo Ratti Associati for the World Exposition Milan 2015. Systematica joins the leading architecture firm together with other consultants and is appointed to analyse the mobility issues. 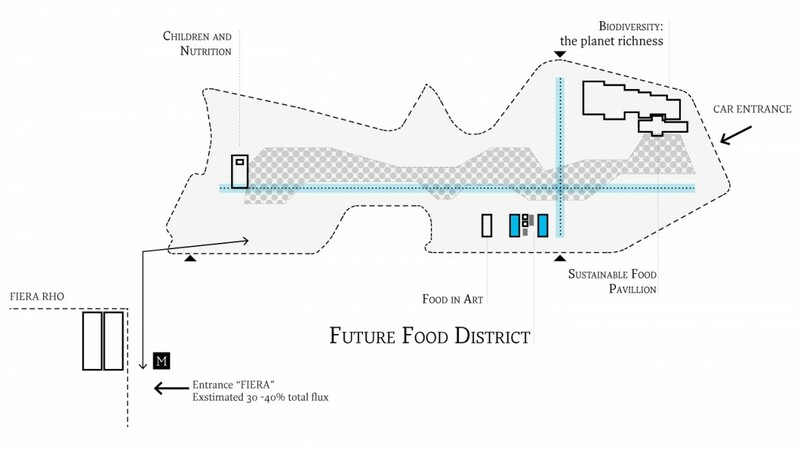 FFD is located at the inner core of Expo 2015 where the two main axes Cardo and Decumanus intersect. FFD is made up of two pavilions “Supermercato” (Supermarket) and “Cucina” (Kitchen) – 2,500 sqm each – distributed around a central “Piazza” wide approximately 4,500 sqm. FFD is the first implementation of the so-called theory of “Internet of Things” and aims at redefining the entire food supply chain making it more comprehensible to visitors thanks to the application and experimentation of new technologies. The enriched experience occurs in all the three spaces composing the FFD: “Supermercato” is the area dedicated to the interaction among visitors and to the logistics and selling activities of food products; “Cucina” is the area reserved for cooking food, also thanks to the help of professional chefs; “Piazza” is an open-air space, hosting technologies involved in the intensive cultivation of vegetable and algae, as well as the gate for accessing and exiting the FFD itself. Systematica’ s contribute to FFD lies in the analysis of pedestrian flow expected in FFD. This analysis is structured in five different moments. 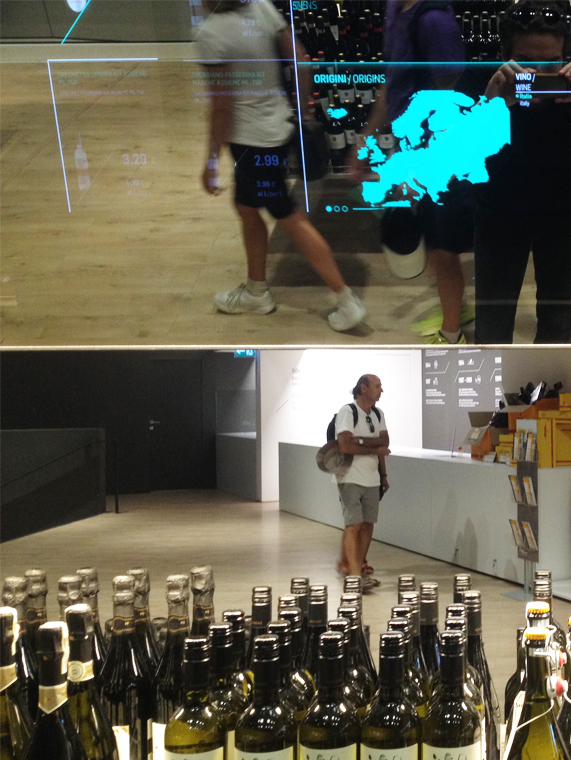 1) The Preliminary Analysis organises the input dataset defining the operational time – 13 hours/day – and the expected visitors – 25,000/day -; 2) Space Capacity Analysis interpolates the input dataset with the physical spatial capacity, in terms of surfaces, to understand the Level of Service of the spaces; 3) In & Out Flows Management proposes various ways for organising the inbound and outbound movements that will affect the entire FFD; 4) Occupancy Scenario Definition foresees two different scenarios – maximum capacity and minimum capacity – which are modelled to test the reaction of FFD spaces to the expected visitors’ flow; 5) System Capacity Assessment that provides an overall assessment on the spatial capacity of the entire FFD. The whole analysis on accessibility and mobility is conducted by Systematica in tight collaboration with Carlo Ratti Associati in order to accompany all the phases of FFD design process. FFD is the first implementation of the so-called theory of “Internet of Things”. Systematica is part of this milestone project, ensuring smooth mobility to all its users and in general to EXPO 2015 visitors.